Introduction to Food Sovereignty. Focus on medium and small scale systems. The course lasts 8 days, with 1 free day, day 5, in the middle of the course. This course can also be developed in 4 double sessions during a month. have a general vision of agriculture in the past, present and future of humanity. know how to carry out simple and useful soil conservation practices. have the knowledge to be able to improve and maintain the fertility of agricultural soils over time. 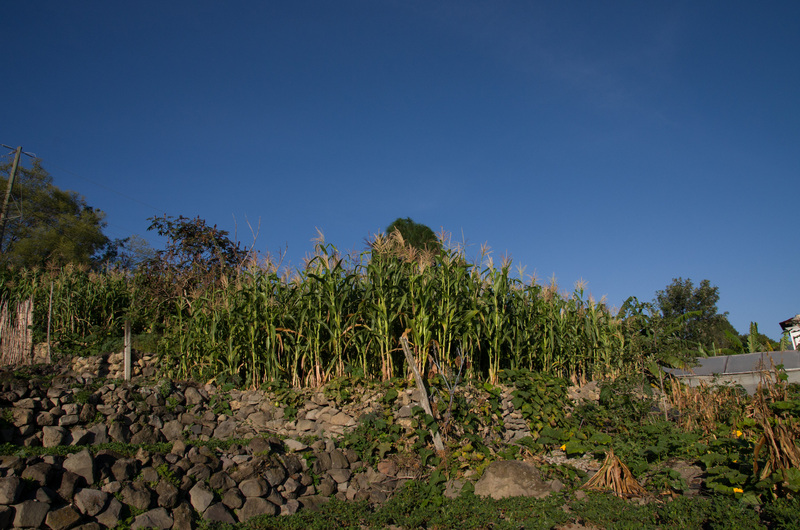 be able to design, implement and manage different agroecological systems. deepen their connection, interaction and overall relationship with Mother Earth. This course is about providing the participants with the social tools that allow them to realize their visions through developing a deep sense of community and support networks for sustainability. It includes active learning, the development of practical skills and experiential learning based in the field. Students become designers of sustainability processes and agents of change, taking an active role in the transition of their communities, organizations, institutions and neighborhoods towards more sustainable methods of production and consumption, as well as constructing more joyful, meaningful and healthy lives. Young people can acquire knowledge and analytical skills to design a society that uses energy and resources with great efficiency, which distributes wealth in a fair and balanced way ensuring the survival and well-being of future generations. The course consists of 4 inter-related modules around “Food Sovereignty”. 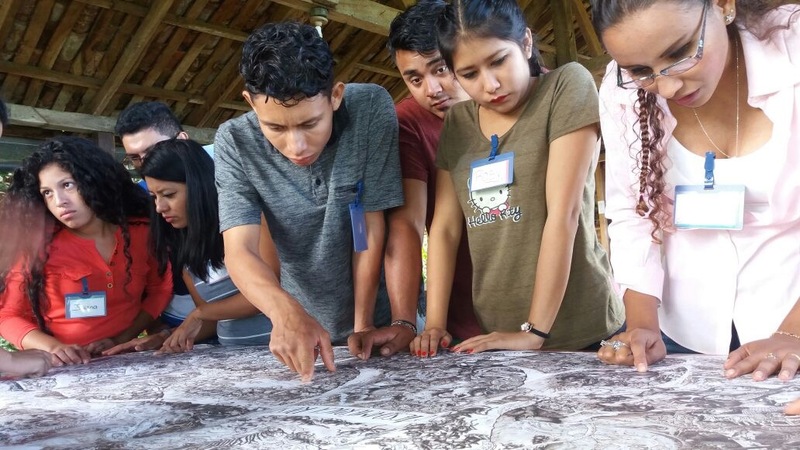 In this first module we embark on an introductory tour of the historical, cultural and biological context of our region, Mesoamerica (cultural area spanning from Southern Mexico to Costa Rica). Based on historical and social facts that have taken place in Mesoamerica we will question, analyze and become acquainted with the territory we inhabit, including its cultural and political history over the centuries, to better understand ourselves as a society of Mesoamericans. In the second module we focus on sharing and putting into practice tools for the design, organization, implementation and management of agroecological food production systems, on small and medium scale operations. Based on the principles of Permaculture Design, we learn how to observe and interact with our environment, to have a better understanding of how natural systems work where we live or where we want to implement our production site. In this module we share basic and essential information to understand the importance of a healthy and adequate diet for the complete development of people and their communities. We emphasize the value of native and heirloom foods of Mesoamerica, promote their cultivation and consumption through the recognition of the natural diversity of our region. We share practical tools for the processing of garden crops such as fermentation, natural conservation of fruits and vegetables and basic baking techniques (if applicable to audience). We believe it is important to be able to add value to the medicinal, fruit and vegetable crops in order to have a presence in the local market. In the fourth and final module we focus on the design, implementation and management of small and medium scale community projects. We share necessary and basic tools to develop and manage a community project that can be ecologically sustainable and economically viable. The ability to contribute to local markets of small and medium scale, through ecologically produced agricultural crops in the community, is important to stimulate the community’s economy, to promote local initiatives and to generate sources of decent work. young leaders, natives and inhabitants of rural and urban communities of the Mesoamerican region, between the ages of 15 to 25 years old. young Mesoamericans that do not have the economic resources to pay for their educational training. young people who live in “red” areas, with high rates of social violence, inequality and poverty. young leaders interested in learning theoretical and practical principles to design and manage agroecological food production systems, from seed to the processing of crops, on small and medium scale operations. young leaders who want to learn, reinforce their knowledge and promote the implementation and ethical management of agroecological food production systems. young leaders who want to develop new skills and perspectives. 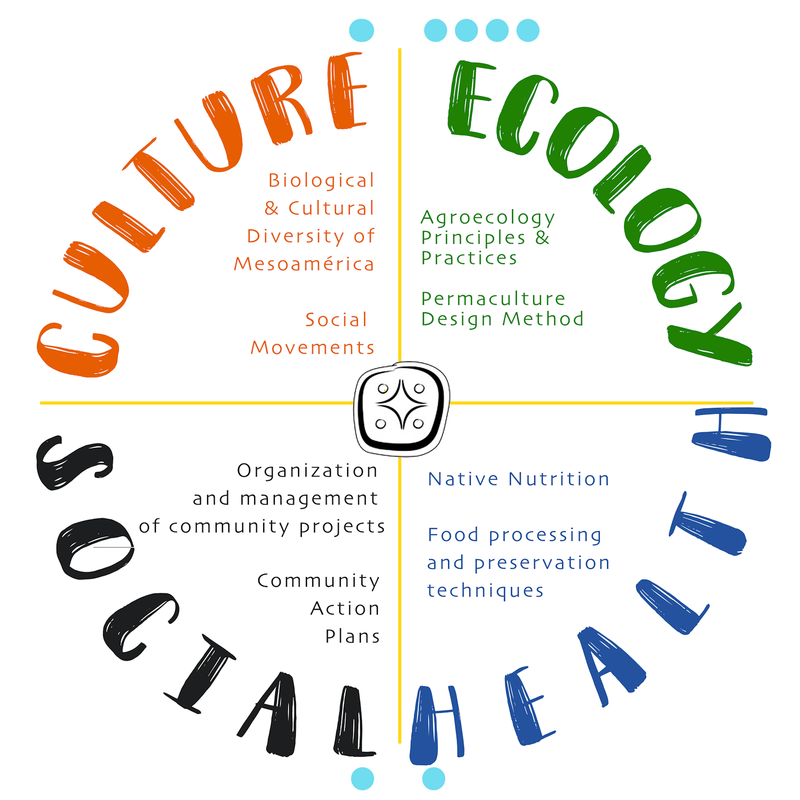 associations, organizations and ecological movements who want to support young people from their communities to learn basic and necessary tools for ecological sustainability focused on small and medium scale agroecological based agriculture. Sustainable Settlement Course + Permaculture Design Course. C.A.S.A. Colombia.